What to Do About Barnes & Noble? Barnes & Noble is in decline. Best Buy and JC Penney's and Sears/K-Mart too. I don't think that it is just about brick-and-mortar. I think it is about strategy and pivots. Pivots for start-ups is important for survival sometimes. "How married are you to your current business plan? is a question that investors ask. But they stop asking once you are in business a while. Why? B&N got investors - mainly Microsoft - to start the Nook division. Now they are considering selling the division off, which doesn't solve any of its problems, except to stave off sinking more cash into the division. Nook makes a nice device, but what do they really do with it? Amazon does so many things for its customers including ripping CD's. Why couldn't Nook be a loyalty device. Coupons, points, digital library, music, movies, etc. -- a lot like the kindle. How about shopping online with the Nook? For books, music, movies, it could be tied to Nook. Have an in-store experience tied to the Nook. So many people just hang around the story reading. Turn that into an opportunity to upsell, cross-sell. Turn it into a co-working space. Give points for purchases - including in the cafe - to get free wi-fi, free co-working space, gift cards or free e-books. Lots of retail space that could be sublet to kiosks or other vendors. Or turned into classrooms. Or a Mesh place. Seth Godin wanted to pre-load kindles with 1000's of books, including his own works. Kindle said No, but Nook could say yes. Bezos also said no to many of Seth's ideas for Kindle - like these. Can you email docs to the Nook like I can with the Kindle? Can you watch Netflix on a Nook? or Hulu? or Redbox? Just saw that you can watch Starz, Encore and Movieplex. What about the subscriptions? Tied to cable or free standing? There are partnerships out there to take advantage of. Pandora, Spotify, and digital storage sites for music, photos, videos. As an author of 3 paperbacks, there are many resources for authors for Kindle. Maybe I missed the Nook resources. Why not have classes in writing on Nook? How to write an e-book? These seem obvious to me. Part of the problem is traffic to the stores. Then there is the customer satisfaction issue: will they buy it when they come in (or will they comparison shop online)? Is B&N just a showroom for Amazon? What happens when the book is unavailable? That issue they have not been able to solve. The other part is the Nook division which isn't catching on. When was the last time you saw an ad for the Nook? Exactly! The third piece is the revenue per store. It needs to go up. Traffic and changing people's behavior at the store will help. Loyalty programs, events, classes - being a community point. The final piece is the online store. Something has to be done there to attract more traffic. Oh, and stop blaming Amazon. Your trouble isn't Amazon. Your trouble is that you failed to innovate and get in touch with your customers, while you still had customers. What does this have to do with telecom? Similar issues - marketing, traffic, website, not enough customers. In addition, many telcos haven't pivoted in years - especially the RLECs who are looking at a hard road with the shift in USF monies. Management is brainwashed to the business model that has been around for 50 years. It doesn't mean they won't be disrupted for the next 50. 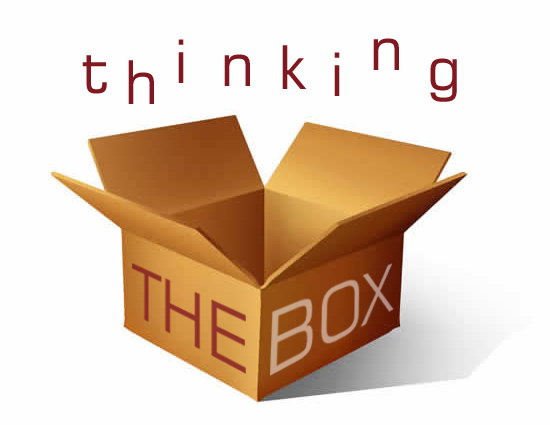 People get tired of the cliche "Think outside of the box" but the truth is you have to think like that - let no suggestion seem ridiculous. So many VoIP providers who haven't done anything to change the endpoints. When the Nook becomes an A/V endpoint, what does that mean? What if the Nook could utilize WebRTC natively? I needn't think about these things, because the same people that have been running B&N think the same way as most telecom execs.